How to use Social Media for Recruiting New Talent? Home/Blog/How to use Social Media for Recruiting New Talent? 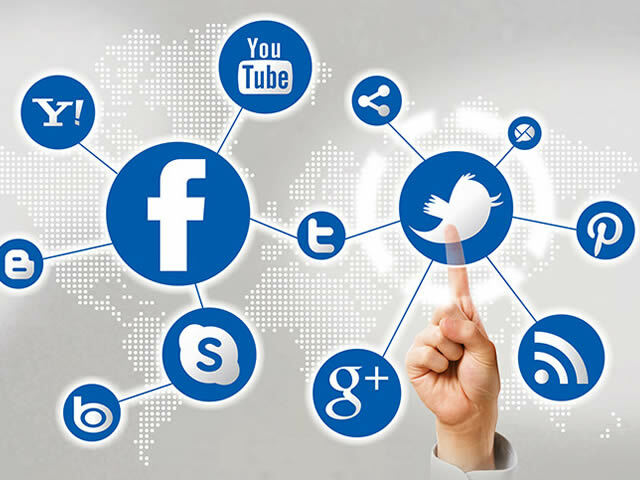 According to a report by Global Web Index, internet users have more than 5 social media accounts. It goes on to say that more and more people are turning to social media for sharing their thoughts and opinions online. If you are a businessman, what does this mean to you? Should you be considering social recruiting for your organization? If you are looking for new talent, you need to meet people by using the platforms they use. And, if social media is becoming a medium for connecting with new employees, why not use it? Hiring New Talent: How to make use of Social Media? Social media platforms such as LinkedIn, Twitter, Instagram, Snapchat and Facebook are quickly becoming essential ways of connecting with potential candidates. Do you think you need to bring in fresh talent? Social recruiting can serve to be an option for you. Let’s understand how you can cut through the noise and deliver your message effectively. Facebook has 2.2 billion monthly active users. But, your audience is not every one of them. Understand the requirements of your business. Who is your target? What kind of qualifications and experience you need for the business? It will help you to create your messages accurately. Make proper use of hashtags and get involved in conversations that matter to your business. Many businesses commit the mistake of using social media as a means of promoting their products and services. They should be focusing on promoting their business and work culture as well. Let your potential candidates know that your business is a great place to work. Do not restrict your current employees from talking about the business. If they share positive attributes of the work culture, it will be the right kind of marketing you need. LinkedIn is a professional network where you will find a majority of your potential candidates. Some businesses prefer Twitter to search for their next hire. But, you must not forget about other social media platforms. Snaplications are becoming more popular than ever! Many reputed companies such as Mc Donald’s, Taco Bell, Goldman Sachs and JP Morgan Chase have used Snapchat for targeting young talent. When it comes to hiring a new employee, it is nice to target the major social media platforms such as Facebook, Twitter and Instagram. But, you must also focus on niche social media sites to target the right audience. For example, if you are looking for a designer, you must scout Dribbble and Pinterest. For web developers, GitHub and Stack Overflow are popular mediums. Are you ready for Social Recruiting? Understanding your recruitment needs, shortlisting the useful social media platforms and creating a crisp message for your audience can be a demanding task. If you do not have an in-house recruitment team, the duty will fall on you. It may restrict you from focusing on the key operations on your business. So, what is the solution? Hire a reputed staffing firm to look after your recruitment needs. Get in touch with someone who has years of experiences in the staffing business and work with them to find the right fit for your business. Do you want to hire IT talent for your business? Whether it is hiring IT consultants or taking care of staff augmentation, only one IT staffing company can deliver the results you want. Trust Optimal Infosystems for your IT staffing needs. The NJ-based IT staffing firm will find you the right employee in no time. With several years of IT staffing experience, Optimal Infosystems makes recruitment stress-free, easy and quick. For ample IT job opportunities, resume and interview tips, enter your e-mail and subscribe to our newsletter. Copyright © 2016 Optimal Infosystems Inc. All Rights Reserved.